Incredible deals and discounts on Dell factory and cancelled order systems from the industry’s leading brand. We offer a wide range of high-quality Dell Precision T3420 Mini-Tower Workstations (3000 series), delivering the total package of guaranteed performance and unrivalled value for money. 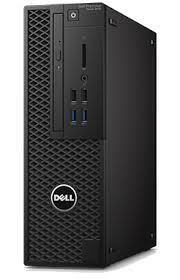 Each of our Dell Precision desktops is backed by an extensive warranty for total piece of mind. Available units are in very limited supply for each model, so be sure to grab a bargain while stocks last.